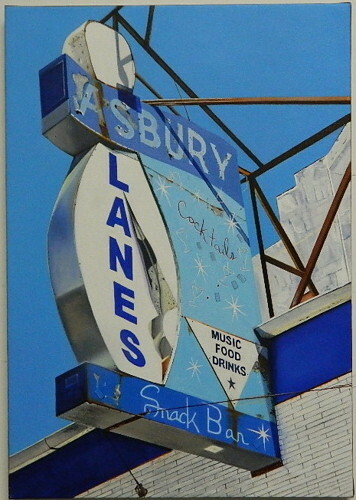 Recently completed 14 x 20" oil on canvas of Asbury Lanes iconic vintage sign in the heart of Asbury Park, New Jersey. It is framed in a silver painted wood floater and ready to hang. Not much wall space is required and the piece is fairly priced.